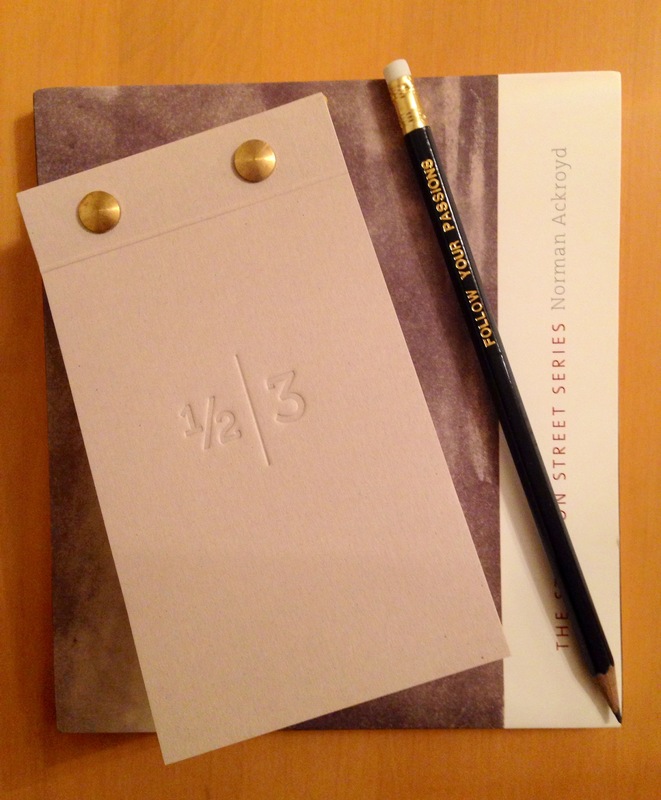 I was excited to see my copy of Norman Ackroyd‘s book The Stratton Street Series and my day planner arrive from the UK on the same day last week. Always good to get new books of images and tools to help me figure out where I’m going to find time to look at them. Squeezing everything in is an on-going battle and forgoing sleep is becoming a less and less attractive option given what I’m finding out about sleep deprivation. Being intentional then about how I spend my time seems like the next best alternative. While I bridle at the thought of having every moment of my day scheduled it’s one way, and really the only way I can think of at the moment, to ensure that I have the time to work on everything that I want to move forward. I found the Day Ticket planner from Half Three when I was poking around on the Kickstarter website – Lauren and Andy Clark explain why they put this together in the video below. Half Three – Day Ticket Kickstarter Film from Andy Clark on Vimeo. I love paper so I’m all in for notebooks and paper planners. While you obviously don’t need to buy this planner the general thrust behind it is perfect. 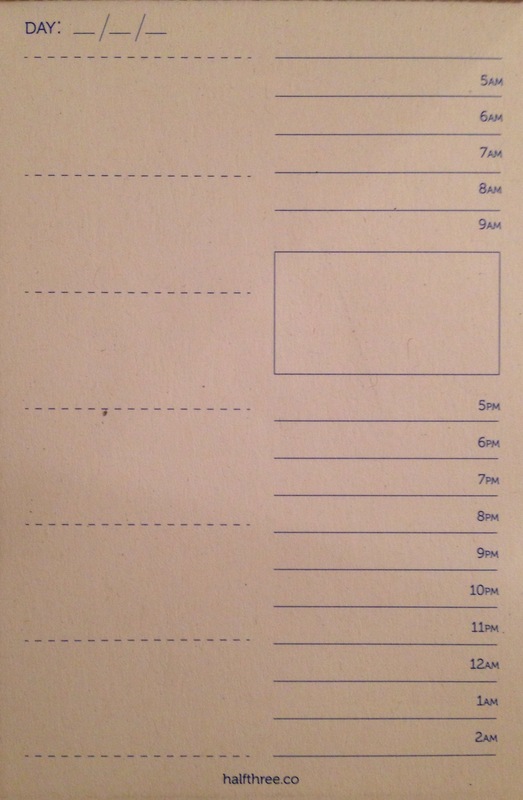 It provides a framework to help you chunk out your day to schedule all the things you want to get done. This may lead you to the realization that you need to cut out some things like watching TV in the evening or getting up a little earlier being conscious and intentional about these decisions will allow you to get more done in your day. Try this out and let me know how it goes.